Ranveer Singh is making headlines ever since he has done movies like Padmaavat. 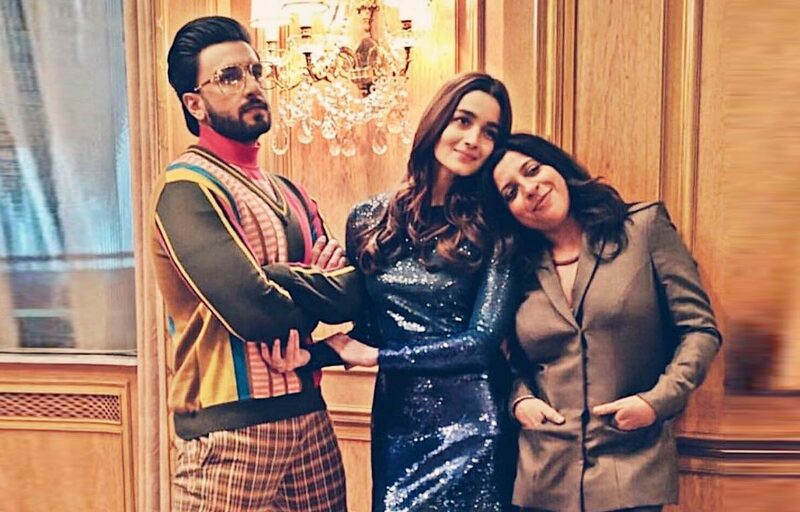 Zoya Akhtar directorial Gully Boy starring Alia Bhatt and Ranveer Singh is just a week away from its theatrical release. The film will hit the theatres on February 14. But before that, it is all set for its world premiere at the ongoing Berlin Film Festival. And, to witness the prestigious moment, Ranveer, Alia and Zoya recently flew to Berlin. Ranveer, Alia and Zoya took to their social media handles to share photos from the film fest. In one of the photos, we see them bursting into laughter, while other pictures have the stylish actors striking a pose. “Don’t even try and knock me off my loubs ,” reads the caption of one of the pictures shared by Alia. Gully Boy is a film that is based on the life of the street rappers of Mumbai. It is loosely inspired from the lives of Mumbai rappers Naezy and Divine. The music of the movie has already become something of a sensation.